Brett Hetherington whose previous book, The ReMade Parent, was featured on this blog, has kindly allowed me to reproduce an excerpt from his latest (but yet to be finished) book. It’s a travelogue/memoir of mainly a summer trip I did to some of the country’s less touristy inland destinations: Zaragoza, Extremadura, Jaen and Ubeda. I have commented on the news stories of the time and what was happening around me in the street life with local people. I also met and talked to expats who are living “unsung” lives here. It’s a great little story below. I hope you enjoy it. A friend of mine named Raúl Blanco has a father who originally came from Cordoba. He told me that when his father (called Sixto, probably after one of the Popes) was seventeen he decided to try his luck finding work in Barcelona. Like a lot of the Spaniards at that time he was often living on little food – the 1940s and ‘50s were often called ‘the years of hunger’ – and he was prepared to risk what was then an illegal train trip due to the tight restrictions on travelling away from your home town. 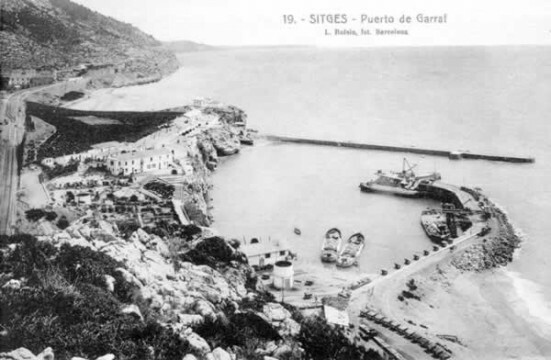 Sixto was told by his friends to stand in the open space between the two carriages of the train when it started slowing down before Barcelona, around Sitges on the Garraf coast and then jump off onto the ground. He should only do this when he heard the announcement for the stop at Sitges, he was warned. But Sixto did not hear the pronunciation of the town with a hard ‘g’ sound that he was accustomed to. Instead the soft “ch” of ‘Seetchas’ in the Catalan accent was used and when he soon arrived in Barcelona and got off the train that was supposed to take him to a bright new future he was arrested on the platform, thrown into jail for nine days then sent back to Cordoba. Sixto was not deterred for long. The next time he made sure that through his family he had arranged a work contract with former neighbours who would officially sponsor him and his employment. One of his first jobs was being a labourer on the Camp Nou, a new stadium for the city’s beloved Barça football team. Like many of his so-called ‘immigrants’ he lived in the working class area of Hospitalet de Llobregat where with his wife (from the northern Burgos region) he went on to run a bar-restaurant. His story is emblematic and typical of his generation of rural families, especially those from Andalusia, a region where the Socialist party has governed without losing office since 1982 and Cordoba itself was the first provincial capital to elect a Communist mayor. In King Solomon’s time Andalucia was called ‘Tarshish’ in Hebrew and was thought of as the legendary place of riches at the end of the world. Brett Hetherington was a secondary school teacher for 15 years and is a regular commentator on Spain’s social and cultural life for Australia’s ABC Radio, as well as being a monthly columnist for Catalonia Today magazine. He is also a freelance journalist. Some of his work has appeared in The Guardian online, The Australian Journalism Review, Barcelona Metropolitan and Monocle. Brett lives with his partner/wife Paula and their young son Hugo in Catalonia’s Barcelona region. You can visit his website at www.bretthetherington.net and blog, “Standing in a Spanish Doorway” at bretthetherington.blogspot.com.